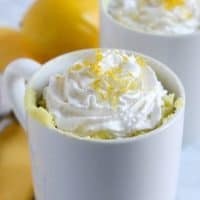 Easy to make Lemon Cheesecake Mug Cake! 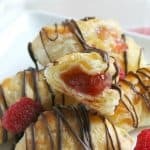 Two and a half minutes in the microwave and you have sheer bliss! You will want to keep making it over and over! I had a box of lemon cake mix sitting around for awhile because I picked up from the store on a whim. I figured I needed to use it up but I really didn’t want to make a whole cake. My daughter had just celebrated her birthday and I made 2 cakes. One for her friends party and one for our family party! 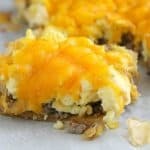 I thought it would be a good idea to just keep it simple and make individual servings! 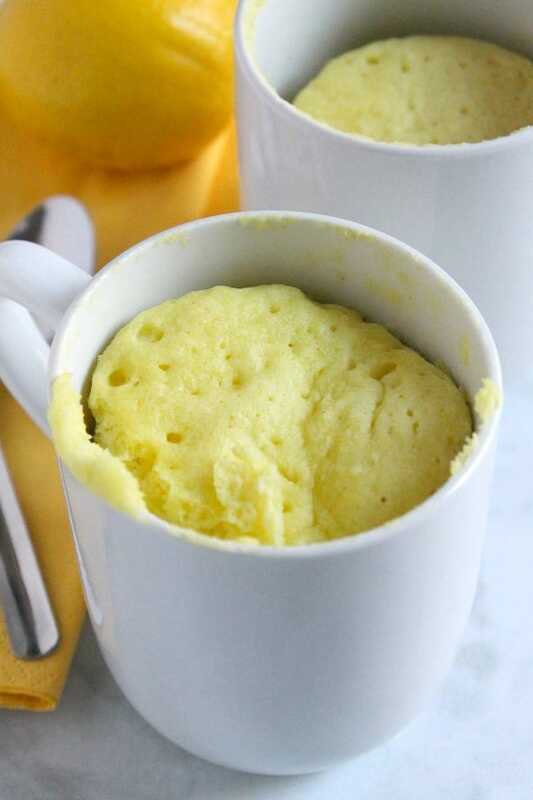 While I was exploring different types of mug cakes I saw that you could make cheesecake in a mug. Now that would be interesting! This mug cake, unlike my chocolate espresso mug cake, has cream cheese shoved down into the middle before I microwaved it! It game me exactly what I was hoping for when it was done cooking. 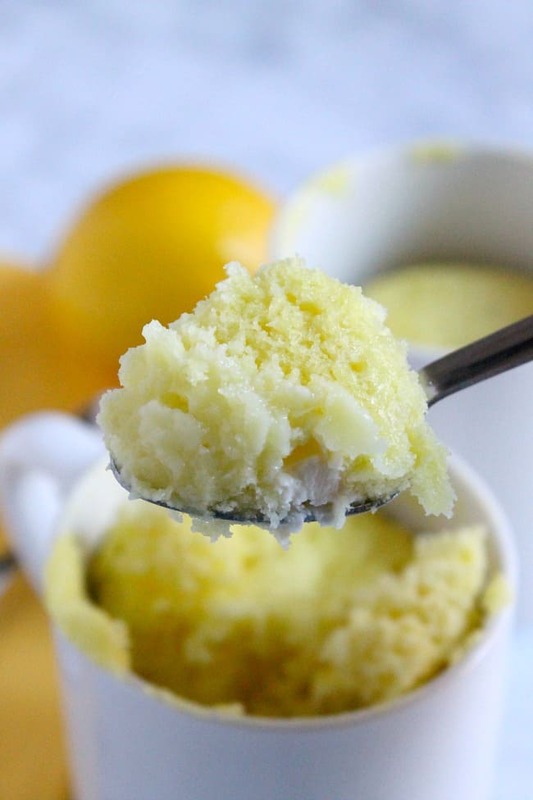 I had a mug cake that tasted like lemon cheesecake! SCORE! So today a few of my friends and I are celebrating Ashley from The Recipe Rebel! She is a lover of all things lemon which is why I thought it would be fitting to make something that included lemon! Ashley had a baby over the weekend and we couldn’t be more excited for her! Congratulations Ashley! Check out these Frosted Lemon Sour Cream Sugar Cookies that Ashley made! Don’t they look amazing! 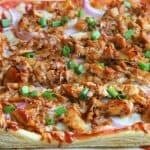 Also she has lots of recipes for slow cooked meals and easy delicious recipes! Make sure you hop on over! 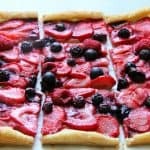 Also make sure you check out the recipes from some other bloggers! ENJOY! Mix cake mix, oil, yogurt and water in mug. Push into center cream cheese. Microwave on high for 2 minutes and a half minutes. 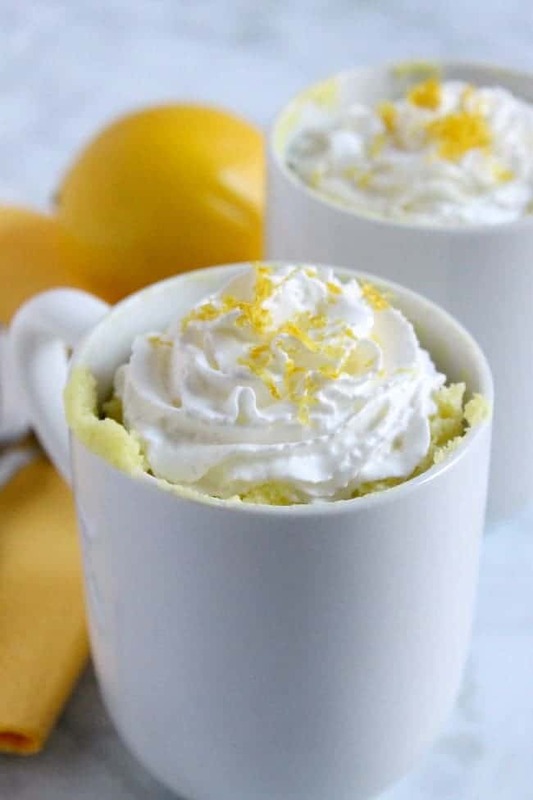 Top with nonfat whipped cream and lemon zest. Serve and ENJOY! Oh my word, I love this idea! SO easy and I’m obsessed with lemon! I think I’m definitely going to need one tonight 😉 Thanks Nancy!